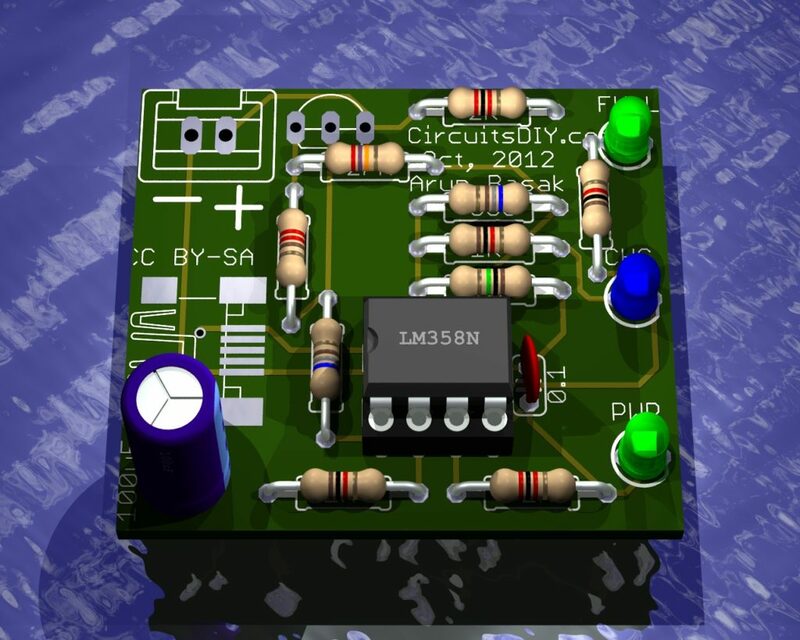 An year ago, I’ve shared a circuit of USB li-ion charger based on LM358opamp. The circuit had some problems as reported by commentators that inclide wrong direction of LEDs. Boards are available for buying. I’m in Brazil, you can send to me? Out of curiosity, why go with both the negative and positive inputs on the collector, And not pin 2 to the collector and pin 3 to the emitter? I am not bashing it because I’ve built it and it works well. Also would it be plausable to use the pnp to switch on a darlington or other current boosting transistor. (pnp collector to npn base) . Only because the tip 102 darlington is quite common at places like radioshack.. I also added a mc34063 simple boost from 3.7 to 5.5v to a usb female jack to turn this into a sweet battery backup charger. As well as a 6v solar panel input for sunny days. 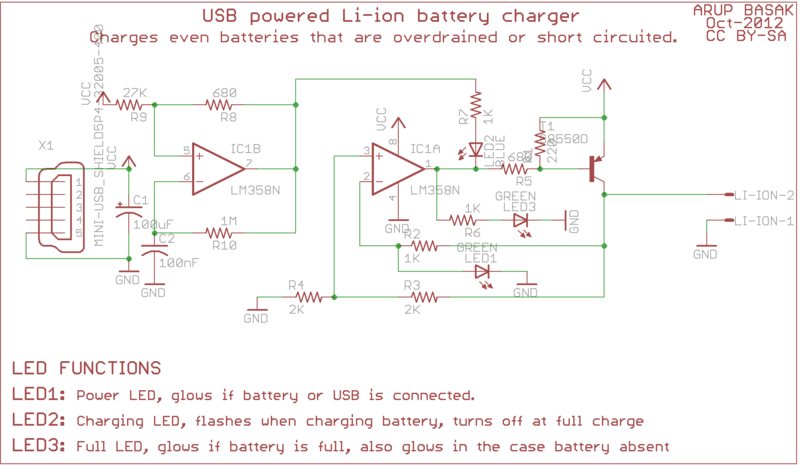 can u explain how it works inside the circuits ?